2016 may be the centenary of the Easter Rising of 1916, and some journalists employed by the main titles of the Independent News & Media organisation may be half-heartedly mimicking a more liberal tone, but the old hands of the IN&M newsrooms remain true believers in a manipulative view of Ireland’s history which makes savage natives of the Irish, and civilizing colonists of the British. So there is little surprise in discovering that Jim Cusack, the press group’s security correspondent, has lent a sympathetic voice to the claims that some parties hope will eventually whitewash the blackened memory of Britain’s infamous death squad leader, Robert Nairac. While serving as a UK intelligence liaison officer in the north-east of Ireland during the 1970s, a period of ferocious insurgent and counter-insurgent warfare, Nairac involved himself in a range of covert activities which resulted in the murders of dozens of Irish men, women and children by pro-British or “unionist” terrorist factions and the UK forces themselves. These killings included the thirty-four dead and 300 wounded in the near-simultaneous Dublin and Monaghan car-bombings of 1974 and the three dead and two injured in the Miami Showband Massacre of 1975, attacks claimed by an extremist grouping known as the Ulster Volunteer Force or UVF. By the mid-1970s the “mid-Ulster” section of the UVF, the feared “Glenanne Gang“, had attracted a significant number of serving or former British soldiers and paramilitary policemen to its membership, while many of its operations were being directed by elements of the UK’s intelligence services. 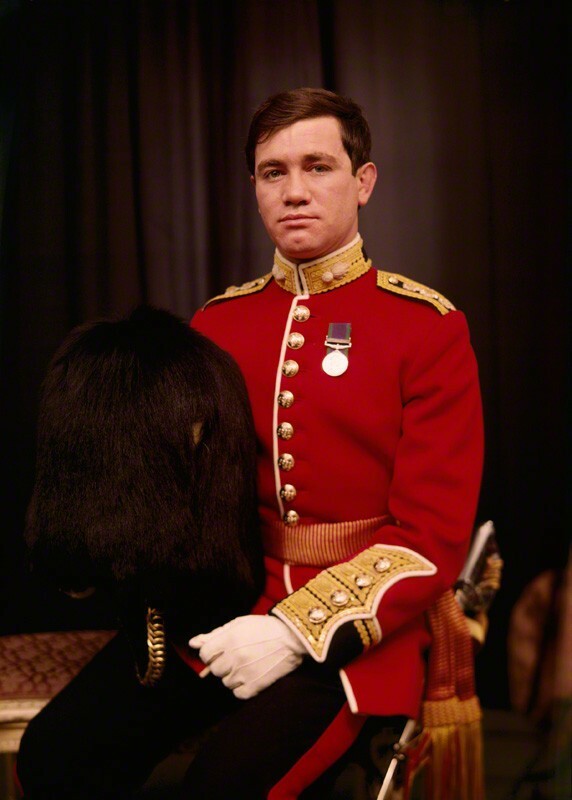 Robert Nairac was closely linked with the Glenanne faction, forming a friendship with one of its leaders, Robert “the Jackal” Jackson, a former soldier of the Ulster Defence Regiment, a British Army militia, and an agent of the Royal Ulster Constabulary through his association with then RUC Superintendent Harry Breen (the latter died in 1989 when his car was ambushed by (P)IRA in Jonesborough, County Armagh). In 1977 Nairac suffered a particularly brutal death at the hands of the (Provisional) Irish Republican Army following a chaotic capture and detention in the border region of counties Armagh and Louth. His remains were disposed of in circumstances that have yet to be explained, one sensationalist tale from the UK press alleging that his corpse was taken to a pet-food processing plant to destroy any possible forensic evidence or to trick the British into believing that Nairac was still alive and had switched allegiances. Now a lecturer and researcher in Britain, Alistair Kerr, a former military officer, civil servant and diplomat, has produced a book allegedly exonerating Robert Nairac through new revelations about his whereabouts at certain key moments in his suspected terrorist career. Unsurprisingly Jim Cusack has leaped on the supposed evidence, though he gives no indication as to whether he has or has not read the publication itself. Perhaps the mere existence of such claims is evidence enough? However to the more informed reader the newspaper report seems to be nothing more than an opportunity to polish the tarnished reputation of the “…young officer”, a chance to recast him as a tragic hero figure by appealing to facile sentiment. Whatever people may say about Cusack’s political motivations and journalistic style, he knows exactly what he is doing. “A new book on British Army officer Capt Robert Nairac, killed and secretly buried by the South Armagh IRA 40 years ago, has debunked several of the ‘myths’ linking the soldier to atrocities during the Troubles. The 28-year-old captain, considered an outstanding young officer, was shot dead after he was cornered and beaten by a group of men outside a South Armagh pub in May 1977. However, author Alistair Kerr, whose 474-page book on Nairac has been published by Cambridge Media Group, uncovered records which show the officer was not in Ireland at the time those atrocities took place. In 1979 Nairac was awarded the George Cross, the highest ‘peace-time’ gallantry award. While the Indo’s security correspondent may disparage the “myths” of Robert Nairac, others with less partisan sentiment see four decades of factual accounts and professional investigations by eye-witnesses and colleagues, journalists and historians, into the career of a ruthless killer. What they reveal is an arrogant Oxford-educated adventurer who thought himself more capable than his peers and who was given free licence to do as he wished in Britain’s rebellious first and last colony. In the end his own ego led him to the type of dreadful death that he – and his comrades – had so readily delivered to others. By the by, does this comment on Nairac’s character come from the same Alistair Kerr as mentioned above? Perhaps Cusack can next exonerate Reinhard Heydrich, a simple, misunderstood technocrat whose real goal in Bohemia and Moravia from 1941-43 was to gently sway the Czechs into Nazi orbit by giving out food rations and free shoes, rather than running a ruthless occupation effort that resulted in the deaths of hundreds of thousands. What do these chumps get paid to write this swill? Independent News and Media are the Fox News of the Irish press scene. Through its two principle newspapers, the Irish and Sunday Independents, it has shaped much of Ireland’s politics for the past three or four decades, and at the direction of our own, mini-version of Roger Ailes. Their politics are decisively libertarian, in US terms: economically large “c” conservative, socially small “l” liberal. Many of its older staff are former poachers-turned-gamekeepers, student radicals and entryists become deeply reactionary, pro-British opinion-makers (and most of them closely related to each other). I don’t think anything quite like it exists anywhere else in the European press. Thank you once again for telling the truth, no matter how ugly it may be. Someone has to. Nairac suffered a terrible and cruel death, regardless of his previous actions, but it had to be said: he was what he was. Bravo for debunking propaganda that perfumes State terrorist Nairac! America’s criminal Neo-Cons were Nairac’s criminal allies. Evidence? See below. Without Britain’s military the Neo-Cons could not have started their genocides in Iraq, Libya, etc. Further evidence: Also in 1994 MI5 brought to Ireland Chicago FBI Agent Patrick “Ed” Buckley and life-long criminal (per a NY State Police affidavit) David Rupert. They remained in Ireland until MI5 demobilized them upon “mission accomplished” the evening of 15Aug1998. Buckley’s deed in Omagh repeated on a larger scale what he had arranged in Winnetka, Illinois for MI5 in 1990-1993. In both Winnetka and Omagh there was a massacre (FBI Agent Lewis’s 357 Magnum in Winnetka). As in Omagh later, the FBI got the news media to blame the IRA for Winnetka. Weeks later Agent Buckley framed me for the Winnetka murders, but my freedom if not my life was saved when Murderer David Biro blabbed through Buckley’s cover into LIfe Without Parole. Prior to news reports of Biro’s murders I had never even heard of him or his victims. Separately, Buckley incarcerated (11/11/91) and tried to imprison for life my wife, two others and me based upon an FBI evidentiary audiotape that we proved (15Jan93) in Federal Court (Case US91CR911) was a criminal fabrication. FBI Agent Buckley’s criminal tactics that failed (twice against me) against us in Federal Court in Chicago proved successful in the framing of Michael McKevitt in Dublin. Having been the targets of MI5/FBI crimes my wife and I provided evidence that, in a non-corrupt court, would have vindicated McKevitt by exposing MI5/FBI crimes, but they succeeded in framing him. At that 2003 trial we saw FBI Agent Buckley for the first time since we defeated his crimes in Chicago on 15Jan93. He clustered familiarly with his MI5 agent-accomplices with whom in Federal Court in Chicago he had denied any connection whatever. A few weeks before MI5/FBI crimes began their overt crimes against us in 1991, FBI Agent Joseph Doyle warned my wife and me that MI5 had bribed and subverted some of his FBI colleagues, and that they were planning crimes against us to “silence” us. We thought that Doyle must be misled or exaggerating once he indicated unconcern that his Oath of Office required his absolute support of the U.S. Constitution then and always. This is another public call for prosecution of State crimes. I possess abundant documentation. Hi Chris, I am aware of some of the background to your story, principally through the reporting of Kevin Cullen and some others, though I suspect many ASF readers are unaware of the murky goings-on in 1990s’ Irish-America and the direct links to activities here. Thanks for the fuller explanation. It will be tragic if the direct link between MI5/FBI crimes in Chicago and Omagh are kept concealed. You cite Kevin Cullen. It indicates that you must be unaware of his agenda. You are not what I had expected. Hi Chris, I only cited Kevin Cullen because it was the most ready piece to hand and I remember his reporting most clearly from the period. If you have another link to the updated story please post here or send it on to me and I will add it, no problem. I sincerely hope that Nairac died roaring. Personally, I would not wish such a dreadful death on anyone, even someone as murderous as Nairac. A chomhairle féin is lú a chuireann corraí ar an duine. Deirtear. Indiadh an méid a bhí deanta aige, ní bhfaigheadh sé trócaire nó saghart da mbéinnsa ansin. Read that, and interesting too. The weird Anglo-Irish thing and British personnel with Irish connections comes up so many times in the recent history of the last scrap of the last colony that it’s almost a stereotype. Of course for a time the British weren’t sure if Nairac had actually jumped over the fence to join the (P)IRA ranks. His Irish connections, however debatable, and his Catholicism made him suspect.